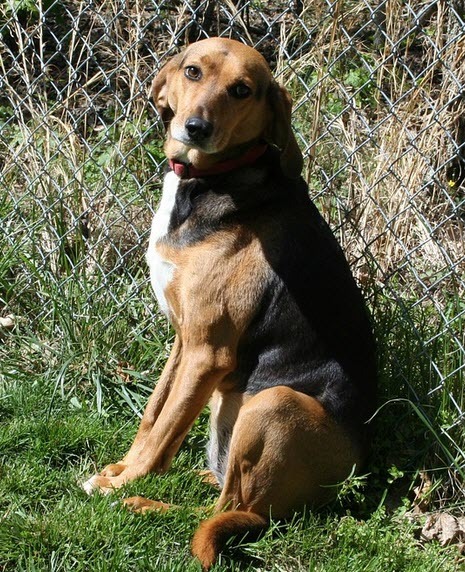 When you adopt a hound you will probably want to know a few details about the breed. Just because they are a hunting breed doesn’t mean they all were trained in an official mount hunting way; some are used for hunting foxes with the owner on foot behind them. Some hounds are used for hunting deer or smaller game and have not been subjected to all the hunting commands that a mount hunting hound would be. Some hounds are not good with head patting and are deemed head shy; meaning they aren’t used to being patted on the head, either because they were abused or it’s just a new experience. Squat down in a docile manner, and let the dog approach you, avoid eye contact initially, and stick your hand out for the hound to sniff. Be extra-gentle and considerate of the hound. Watch how your new adopted dog reacts to certain movements and gestures to get a good feel for their comfort level. Whether they are puppies or adults, take your dog to your veterinarian soon after the adoption. The local vet can identify any health or abuse concerns; and will work with you to set up a preventive regimen that will help you avoid many health issues. With this breed it is important to watch out for the early signs of diabetes, skin problems, or ear infections. Typically when they are adopted we hear that they quickly take over the couch or a big comfy dog bed and are loveable with the whole household. They are smart and take to living in a home quickly. They housebreak easily (it’s not common for them to use the kennels as a potty anyway) and are usually quiet additions to the family. Barking doesn’t come naturally to them and howling is a hunting activity. For folks that might take a young hound, they are smart, athletic, and energetic and, as such, not for the inexperienced. They are also sweet, loving, and brave. They love water and love to play. Consider an adult dog from a shelter or a rescue group. Many of the health problems in Foxhounds aren’t apparent in puppyhood, but by adopting an older dog, most of them can be ruled out. Since a Foxhound can live to be over thirteen years old, even an adult dog will be with your family for a long time. -Remember that the Foxhound is an uncommon breed. You may have to wait six months or more for the right puppy to be available, so start your search well in advance of the time you would like to have a dog.